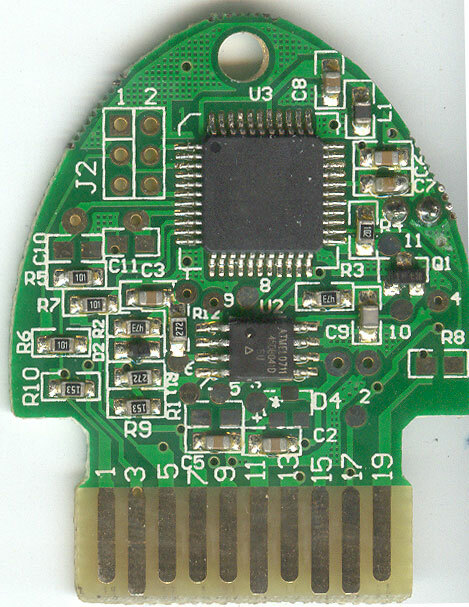 From the markings on the PCB, I would imagine that most cartridge hardware is identical. 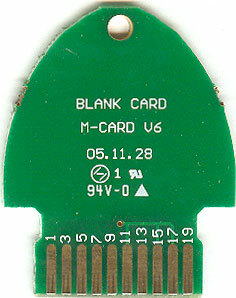 Here's what I found in my dissection of my Cricut Personal cutter. I think this is a pretty good jumping off point if you're interested in repurposing the hardware, but for now I'm not doing any advanced analysis of the circuits (tracing pinouts, etc). This may come later if I decide to make some custom firmware to do some other fancy things. 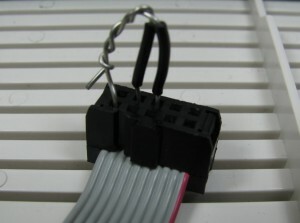 2 Steppers - 42BYGH4418 - These are standard NEMA 17 sized steppers with 6 leads. 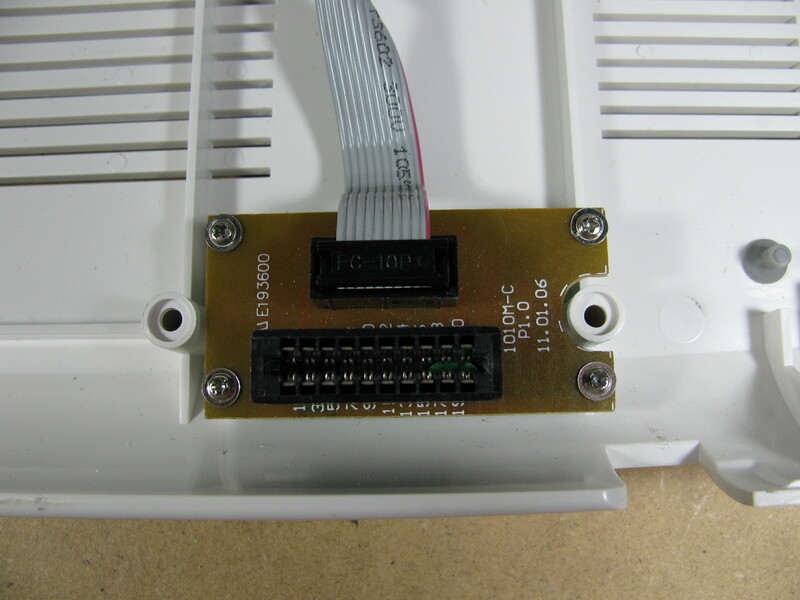 I didn't find any specific data on this stepper most likely driven in a unipolar configuration. 1 Solenoid - The cutter head seems to be a custom solenoid setup. ATmega128 - Main microcontroller for the entire system. FT232BM - FTDI USB to RS232 converter chip. 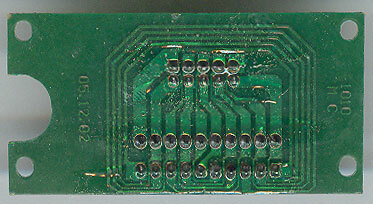 AT45DB041D - 4MBit Serial EEPROM - This seems to be where the built in "Goerge and Basic Shapes" cartridge data is stored. LM317 - 1.5A adjustable voltage regulator - Outputs 2.4V at power on. 18V 2.5A Power Brick - Labeling seems to suggest there are 16V, 20V, and 21V versions as well. BD243C NPN Transistors and high wattage resistors - These 8 transistors are driving the individual stepper coils. The power resistors, transistors, and diodes in the center of the motherboard above all form the stepper control for the two steppers used in the setup. The steppers are driven off of the 18V supply from the power brick. Potentiometers - The speed, pressure, and size dials are all just connected directly to potentiometers. Here's a picture of the "George and Basic Shapes" cartridge from the side facing tward you when inserted into the machine. 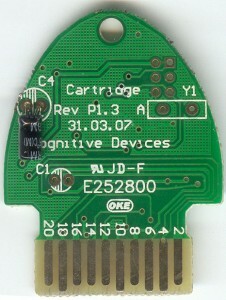 This is the cartridge that comes with the machine and is just a couple pins shorted together. If you've searched for Cricut hacks before, you probably already knew this, as this seems to be one of the few details floating around. I did manage to disassemble a standard cartridge at an earlier date and it contained an Atmega chip and another mysterious 8-pin Atmel chip just like the motherboard. I'll have to borrow another cartridge or two in the future and post some pics. The back seems to be a mirror of the front. It seems that rather than key the cartridges, they simply manufacture them so they can be inserted either way and function normally. This solution works nice for me since it's quick and easy and I don't plan on using the Cricut with the standard cartridges. 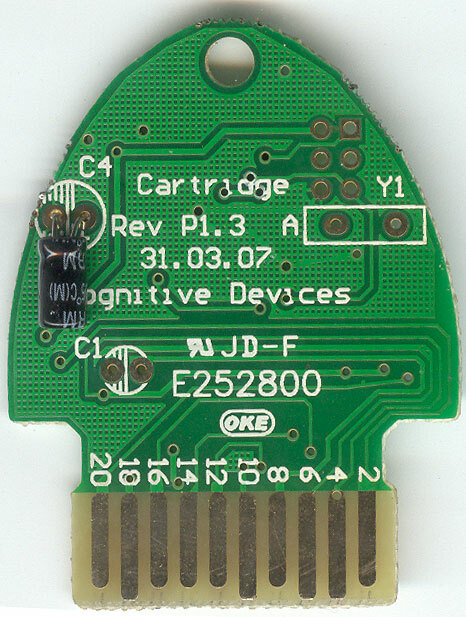 You can just as easily emulate a George cartridge a number of other ways if you what to still use other cartridges with the machine normally, ranging from making your own PCB to just gluing some foil traces to a piece of cardboard that will fit in the slot. 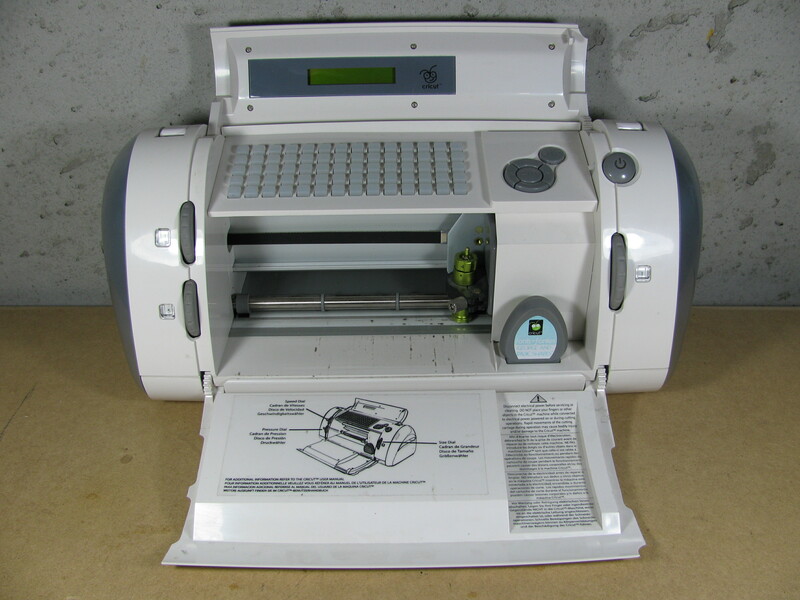 A member at the hackerspace donated a Cricut 6" cutter when she upgraded to the Expression model. 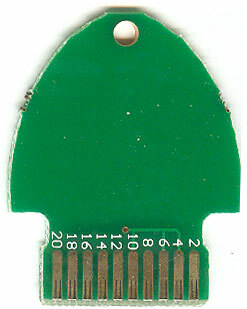 I've seen these little devices in most craft stores and even Wal-mart, and they seem ripe for the hacking. The Cricut line of personal CNC paper cutters appear to have been looked into on a number of occasions from what I could find, but I didn't really find any good resources for information on hardware hacking other than a couple simple hacks and the discovery that the Cricut USB link was actually an USB to RS232 connection. I also didn't find any open source or homebrew software to turn these devices from advanced scrapbook die cutters to general purpose CNC paper cutter/plotter/whatever. I really want to play around with this thing (including trying to mount a spindle on it for crude PCB routing, among other things), but it looks like someone still needs to do a little leg work to make that happen easily. What I did find is that there are a few proprietary software packages out there (Sure Cuts A Lot and Make The Cut) that allow you to place and cut TrueType fonts and SVG format vector graphics. This coupled with the fact that the device was using an RS232 link to do the actual communication to the on board microcontroller led me to believe it should be trivial to back-engineer the command protocol. I downloaded the trial versions of the available 3rd party tools and grabbed a few windows serial port sniffing applications and set off to start logging communications. Unfortunately I found that no combination of serial sniffer and control software seemed to work out. I can easily use the serial sniffers to look at the transactions of the Arduino bootloader and the host application over the USB to RS232 link, but I see no activity with the 3rd party Cricut software. I can set up a USB sniffer link and log data, but these logs are relatively verbose and I'd like to use a more elegant solution to log the RS232 data directly. Since I'm more comfortable with the hardware side of things, I'm currently focusing on the problem from that angle. I didn't want to start chopping up the space's Cricut, I set out to acquire my own for the task. I managed to scoop one up for $60 with no cartridges from an individual who upgraded to the Expression as well. 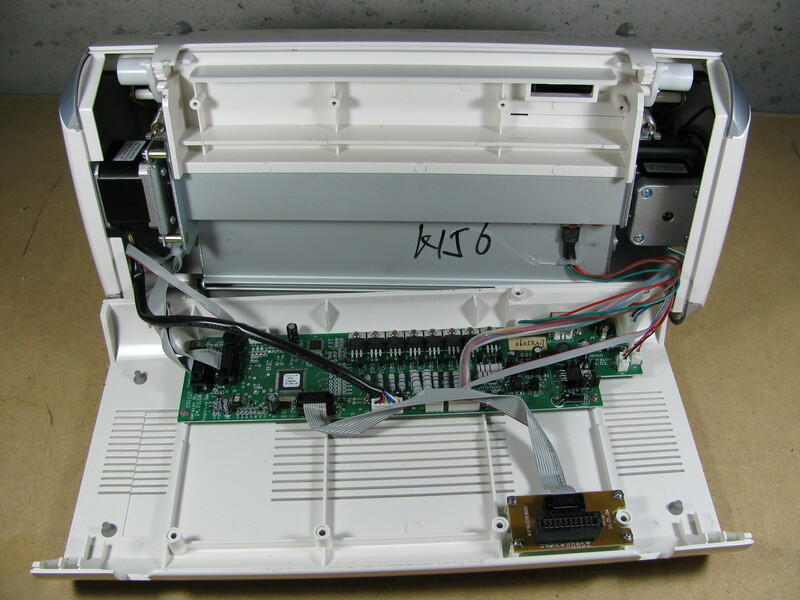 Stay tuned for some hardware dissection notes as I take my personal unit apart! Construction of CCCKC's CaveBot and my PE00001 MakerBot was pretty straight forward for the most part. The only major snags we hit were versioning issues and a finicky extruder. New laser cut parts are easy to get our hands on and relatively cheap, but extruder parts have to be ordered from MakerBot Industries costing us time and money. 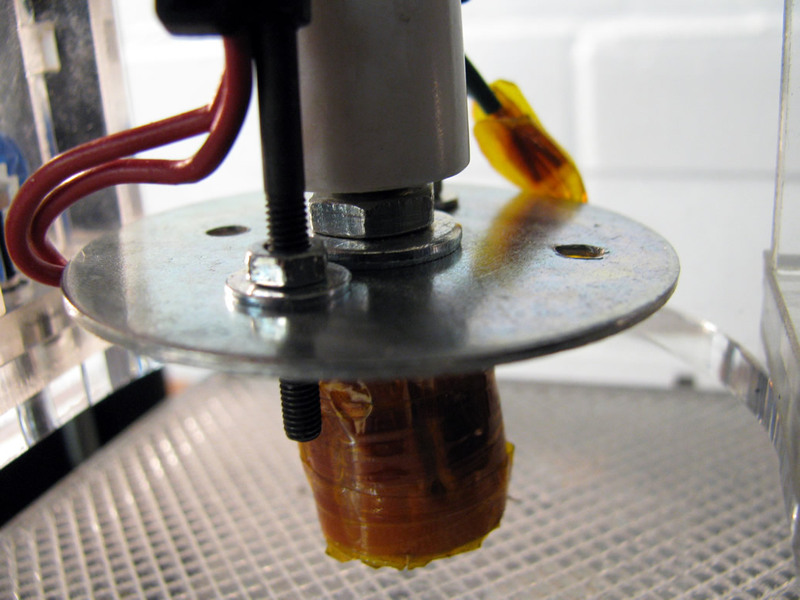 Also, if you want to re-use your nozzle and heater barrel, you have to soak your parts in an acetone bath for a few days to clean it out, which is a real pain because you also have to agitate the bath as well if you want to be reusing those parts any time soon. I've been told you can also use a lighter to melt out the plastic, but I have yet to experiment with this. 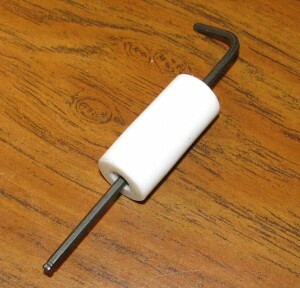 Remove the PTFE as a load bearing structural component. This amounts to adding an M6 nut and washer in between the PTFE insulator and the fender washer. This translates force on the heater barrel back up to the main plastruder body through the bolts connected to the fender washer. While this won't stop damns of plastic from forming and slowing down extrusion, it should keep the heater barrel from getting pushed out of the PTFE, stripping the threads out as it does so. 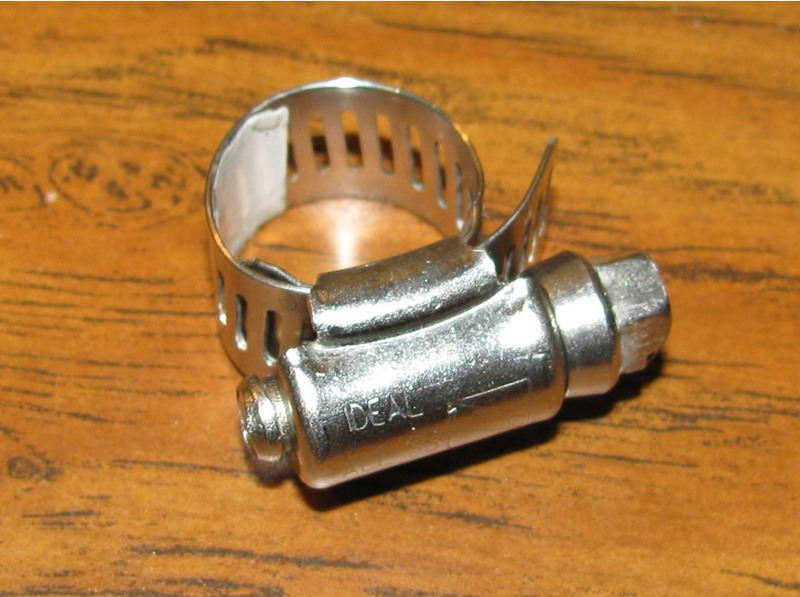 Add a hose clamp where the heater barrel and PTFE meet. While not required, it probably couldn't hurt and it may stop damns from forming. I'm hoping this will extend the life of my extruder a bit. Remember to periodically tighten this clamp up as the PTFE "flows" away from the clamped area over time. Check out this entry on the MakerBot Blog for some additional info and some more awesome mods to the basic plastruder setup.